Tonight (representative) Jesus was trying to tell, express, one of the greatest lessons He was trying to tell them during His three years of ministry. Jesus washed their feet. He was telling them “like I am doing this to you do it to one another and all you meet. You and others travel in and through the world, the world is a dirty dark place, you need to take care of each other. Support them. Pray for them. 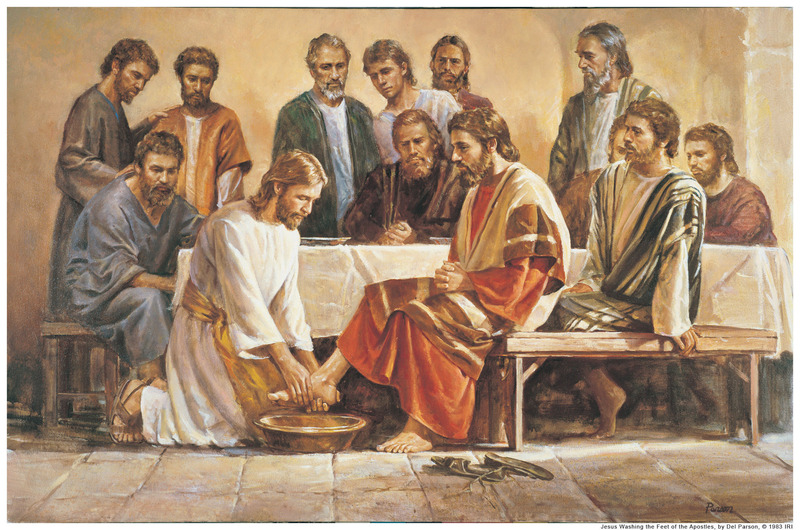 Do what it is you need to do to take care of fellow christians.” This is what it is to wash one another’s feet. 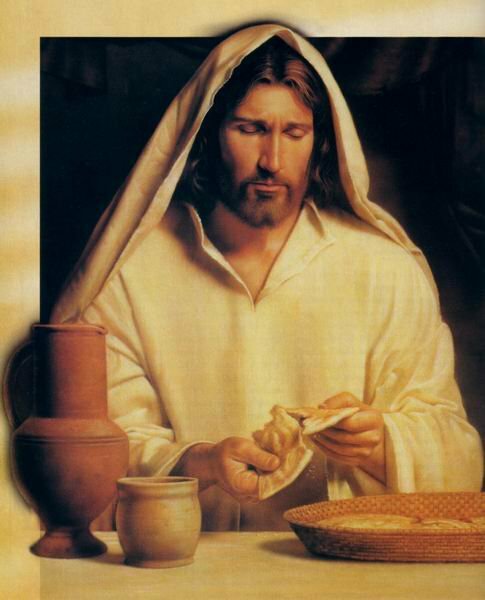 Jesus was also having his last meal with His disciples. Jesus last supper with His dicsiples. He was also telling them another important thing. His body was going to be broken for them, for us. we need to receive this. Take it in and let it be assimilated into our very being. He was also tell them they were to be broken in like manner. We as christians will suffer as we follow Him. Jesus was also betrayed by one of His own, just as He said that one was sitting at the same table. After dinner He took a few disciples to pray with im. They fell asleep….but Jesus prayed for what was to come would pass. Jesus wanted the will of the Father more than His own will. He knew what He was to do. He was betrayed by a kiss, by Judas, and taken prisoner. Beginning tonight through tomorrow He was being interrogated, beaten, spit on, flogged, He was stripped of His clothes and mocked and jeered at, traded for a murder who was set free in Christ’s place, tormented and tortured more than any man has ever been. Tomorrow (representative) they are going to nail Him to a cross. He was set on display for all to see. Jesus was unrecognizable at this time. His body was so bruised, torn and bloodied. This was one of the most horrible death a man could suffer at that time. Jesus will die tonight. 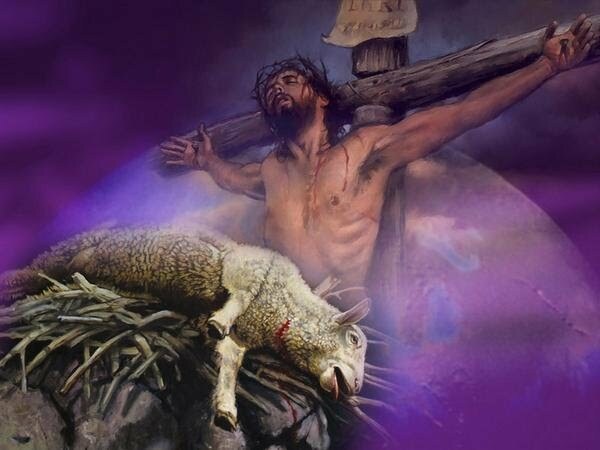 He shed His blood for you and me. To make sure He is dead, a solider will thrust a sword into his side. Jesus was slain for you and me. He took our sin and put it to death there. 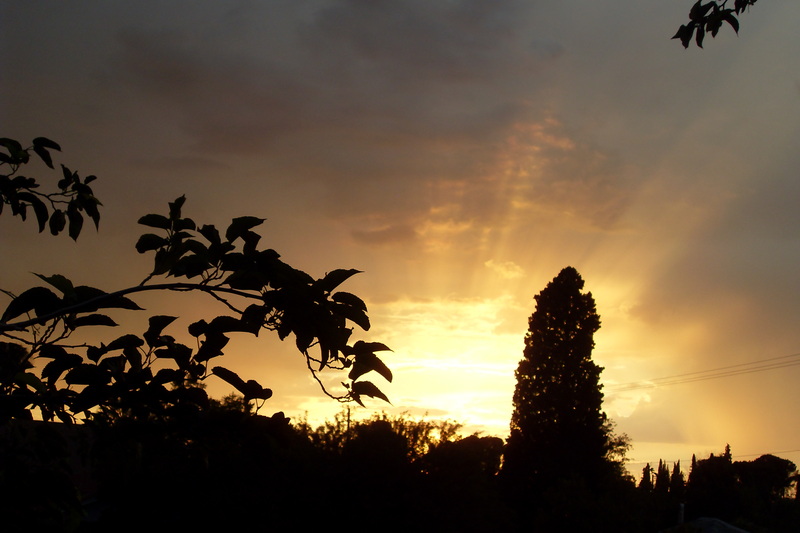 Many people during this time made choices….who was was the Son of God? Was this man, Jesus the Messiah? some realized, “Yes, this is the Messiah.” One of thing that truly blesses me; Jesus was hung between tow thieves. One mocked HIm, one accepted Him as Saviour. Jesus told Him, “tonight you will see Me in Paradise.” The next thing, one of the captain of the guards, saw Jesus as the Son of God. At this horrible time at least two men came to know Jesus as Saviour. Jesus was taken to a borrowed tomb. Wrapped and mad ready for burial. Pilate and the Pharisees set a large stone in front of the tomb with guards to watch they did not want anyone to come get Jesus from this tomb. Why? It was prophesied He would raise the third day, they were not going to let that happen. But Jesus said He would raise the third day and He would be in Galilee and visit with His disciples there. Not only has death and sin lost it’d sting and hold on us, Jesus gave us free access into the HOLY OF HOLIES. We can have communion with Him, personally, we no longer need a mediator to go into the Holy of Holies. He made a way for us to enter in, to have an intimate relationship with Him, to speak to Him freely. How? When the earthquake happened the curtain that separated man from the presence of God, was torn in two…get this…from top to bottom. This curtain was so high and heavy it could only have been torn by the hand of God. Jesus rose from the grave. He said He would do this. He walked and talked with the men on the way to Galilee. He did what He said He would do. What Jesus said He would do he did. I know I have left out a lot, but I want two share two more things quickly. (1) Not only did Jesus do all He said He was going to do, He has given us victory over sin and death. He took our sin and it was nailed to the cross; He shed His blood so we did not have to die the death for our sins. We choose to sin once we know Him as Saviour. We can walk in the heavenlies here on earth, Jesus has made a way for us to do so. Jesus has made a way for us to b conquerors in this life. Through His death and resurrection we have access to live life abundantly in Him. When this body dies or as scripture says, goes to sleep, we do not have to fear. We know where we are going, to heaven to sit with Jesus, with His Father in Paradise. Because of what Jesus did at the cross we have so much to look forward to, now and shortly to come. (2) Jesus has promised to come again. Just as He went into the clouds, He will return. I know He is going to return for those who watching and waiting for Him. If we are watching and waiting for Him, we will be giving ourselves totally and completely to Him. No tha doesn’t mean we won’t make mistakes, it is what we do when we make those mistakes. Life in Christ has not been promised to be a bed of roses, but a life of joy and peace in believing, in believing in Jesus…trusting Him with our whole hearts. When I look into the skies I wonder when. It could be now, I could be tomorrow, next week, next month….I do not know. Jesus doesn’t know when, only His Father knows the day and hour. I look forward to that day and hour. How can I look forward to that time? Because of the work that Jesus did at the cross and raising in victory. This is a sad, bittersweet week, but it is a victorious time also. Reflect on what Jesus did, what He went through for you. Reflect on His death and His reserecction…life for you and me. This entry was posted in God's grace is always your hope! and tagged Christ, Galilee, God, HOLY OF HOLIES, Holy Week, Pharisee, Pharisees, Resurrection of Jesus, Son of God by PinchOfGrace by Candy Clonts. Bookmark the permalink.